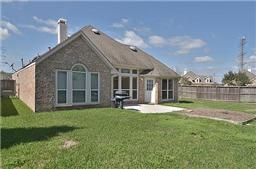 Beautiful Home in Magnolia Creekwith a very open floor plan and no back neighbors. Home has been well kept and was recently Updated (Feb. 2012) with new Paint and Carpet. This beautiful home features tile in Entry, Hall, Bath, Den and Kitchen areas; as well as hardwood floors in Study and Formal Dining. Gorgeous large Master bedroom with Master bath. The master bath features a Whirlpool Tub with Skylight, and a Huge Closet. Upgraded Range & Vent Hood (Commercial Grade) as well as a Patio with a Gas Grill. WINDSTORM Panels and Survey included. 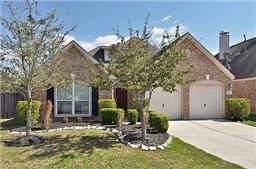 Perfect home for First Time Home Buyers or someone looking to downsize.Magnolia Creek offers convenient access to many ammenities including the inviting, and impressive private 27-hole Scottish links golf course. Take a Look at our Interactive Virtual Tour!! 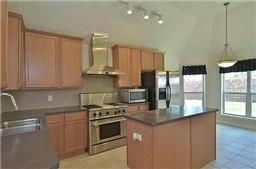 Check out this property on YouTube!! If you have any questions regarding any of the Magnolia Creek homes for sale, or would like to schedule a tour of any real estate, residential or commercial in the Bay Area, please do not hesitate to callThe Bly Team : 281-823-5775.